A quick post just to note the latest silent to appear on Blu-Ray. Hot on the heels of The General, Sunrise, City Girl, Battleship Potemkin and the announced future releases of Metropolis, Our Hospitality, Steamboat Bill Jr. and Sherlock Jr., we now have The Kid. Chaplin’s 1921 comic tear-jerker, in which he meets his acting match in the five-year-old Jackie Coogan, is to be released on 10 May by Park Circus, as part of Charlie Chaplin Collection, alongside The Great Dictator. 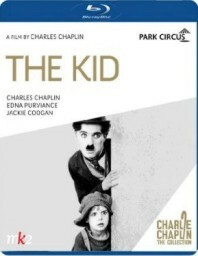 The extras include an introduction by David Robinson; a 26mins documentary Chaplin Today: The Kid; scenes deleted for 1971 release (the Blu-Ray edition is the shorter version which Chaplin prepared in 1971); short items on recording the new score (1971) and Jackie Coogan dancing (1920) (2 mins); and the 1922 home movie Nice and Friendly featuring Lord and Lady Mountbatten, Jackie Coogan and Chaplin. The Kid seems to be a Region B UK release only. 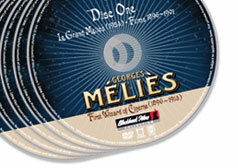 It’s also being made available by the same company on DVD.